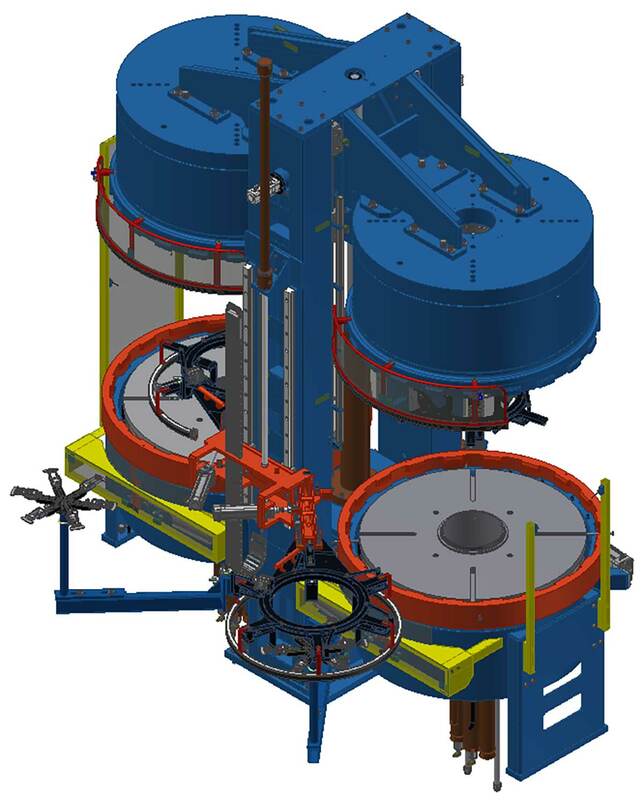 HERBERT has a Long-Standing experience in the development, construction and manufacture of tire curing presses of all types and sizes. The customer can obtain everything for the vulcanization of tires from one source. 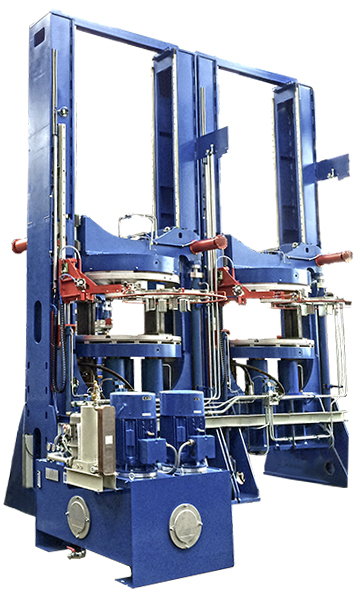 Mechanical tire curing presses are part of HERBERT’s range of products as well as different types of hydraulically driven presses for passenger car and motorcycle tires up to truck and airplane tires. Necessary accessories for the vulcanization, like for example tire molds and mold containers can certainly also be obtained from HERBERT. Post Cure Inflators (PCI) as well as bladder presses and molds complete our range of products. Further information can be found on the according product pages. … we are happy to give advice! HERBERT strictly uses top quality components of reliable suppliers. Old and small mechanical presses can be replaced with larger hydraulic HERBERT presses with the same space requirement, which on one hand extends the possible range of products and the flexibility (through independently operating cavities) and on the other hand increases the turnout based on considerably shorter cycle times. Compared to the old mechanic heating presses the quality of the cured tires is clearly improved with the state-of-the-art hydraulic tire curing presses by HERBERT.